Flip to Strike call to non-union mine workers urging them help the strikers and not scab for the company. Credit: Courtesy Archives Department, Rochester and Pittsburgh Coal Company Records, Indiana University of Pennsylvania. 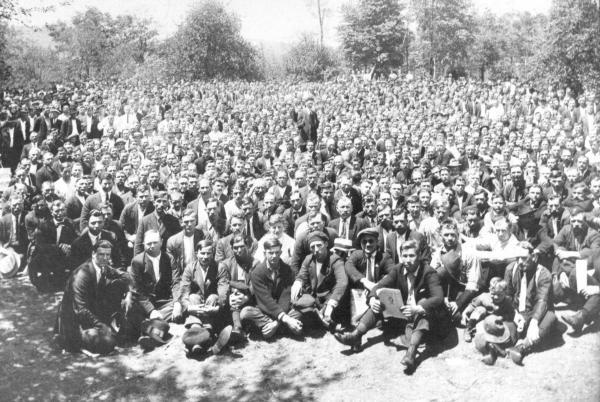 In late September, 1922, a photographer took this picture for the "United Mine Workers Journal" at a meeting of more than 3,000 striking coal miners held near Windber, PA. Windber was, according to the journal, "the hotbed" of Somerset county, District No. 2.